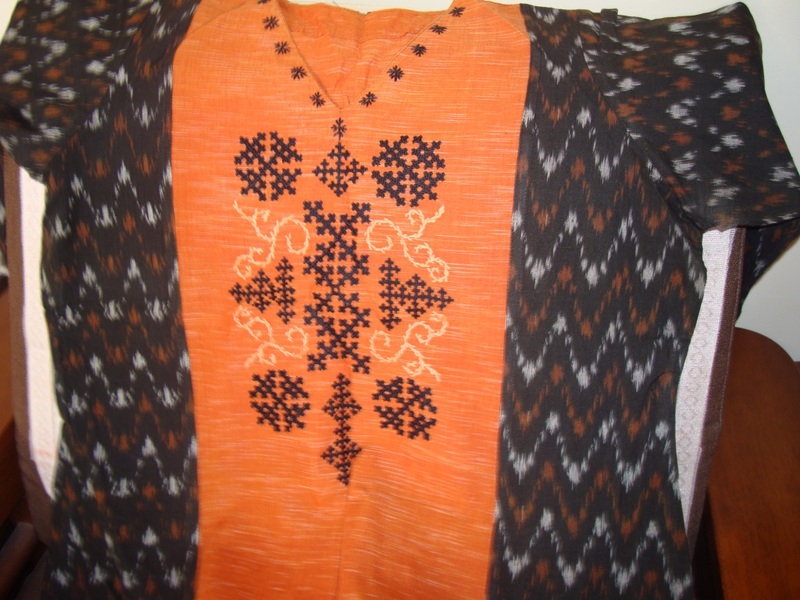 Two ikat weave cotton fabric are used for this tunic.one in dull orange and another printed black. I had the black one , with no pattern ideas in my mind, then one day thought I can use another fabric to make into a salwar set[ Indian tunic]. Then the tunic was sewn, after that , the only useful thing it did, whenever I opened the wardrobe, was to stare at me accusingly that I had not done any work on it. one day, the tunic won and I had to start . 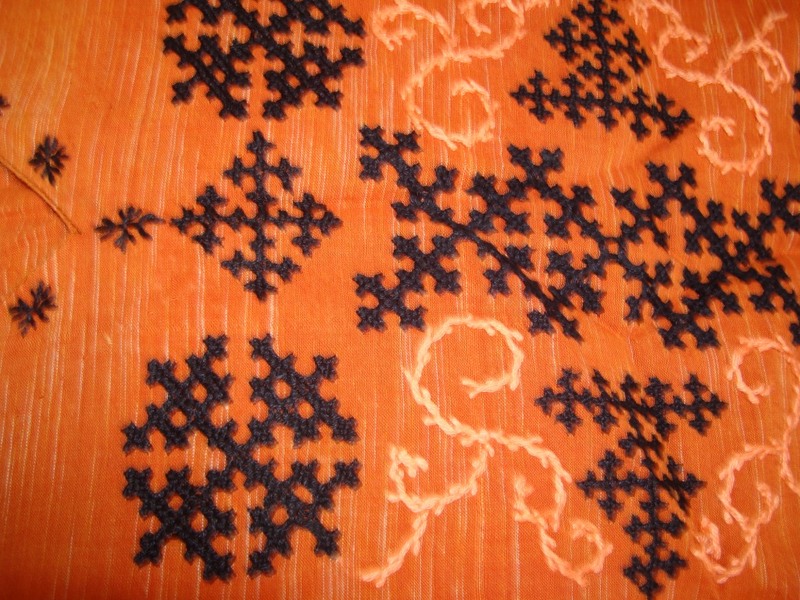 Pattern-after deciding on kutchwork, I chose a few individual motifs and placed them to form a medium sized yoke. 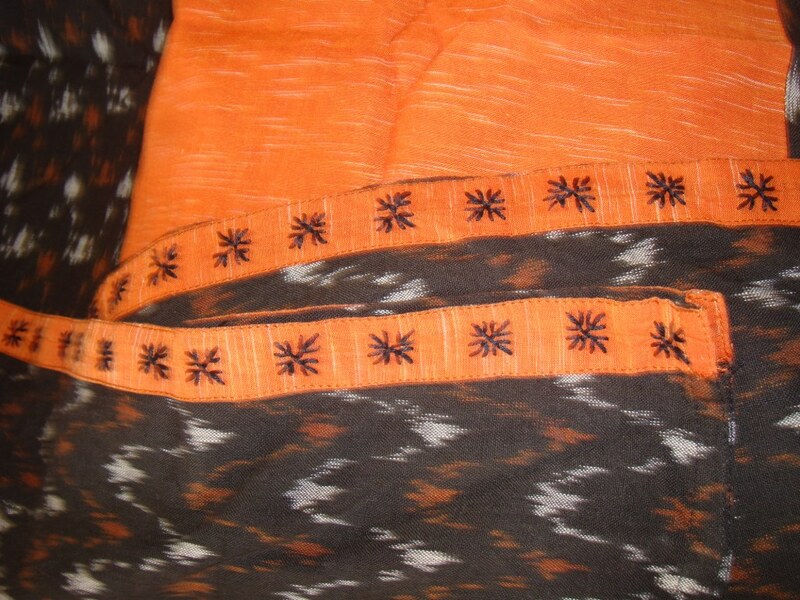 The tunic also had orange borders on sleeves and slits, where I used a varation of fly stitch. Threads- 3 strands of black and light orange threads. The border variation can be used as decorative seam. I was too focused on finishing this embroidery yoke, I didn’t pay attention to the feather stitch pattern and colour,. A geometrical pattern would have looked better. A few antique copper or gold beads or pearl beadswould have helped too. It is already done for me, but somebody can use the idea.